Workshops and seminars are a fantastic way of introducing yourself to spiritual development. Never underestimate what you can achieve on one of these days or sessions working with like-minded people keen to explore their own potential through experiences. We don't always realise that our connections with the spirit world can help us in our everyday lives and therefore many people use workshops and seminars to help their own personal development and not just to go out and work publicly. 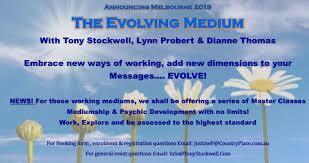 A wonderful opportunity to watch Lynn demonstrate her mediumship. Lynn is renowned for both her accuracy and detail in providing information and evidence from the spirit world and her ability to bring the true essence of the person ‘alive’ again with her empathic manner and respect in all she does. Join Lynn for an evening of re-connecting with loved ones and being touched by the touch of spirit. Although based in the UK, Lynn Probert can be seen working all around the world both teaching and demonstrating mediumship. Lynn is renowned for both her accuracy and detail in providing information and evidence from the spirit world and her ability to bring the true essence of the person ‘alive’ again with her empathic manner and respect in all she does. 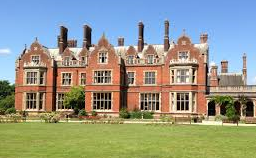 As a tutor her nurturing manner and encouragement has proved invaluable in helping students understand their own awareness and potential, but more importantly to aid them in believing and trusting themselves in their development. Her honesty, compassion, and commitment to her work with the spirit world has made her a very popular tutor and demonstrator and she has appeared as a guest on TV, Radio and Theatre shows both independently and with fellow colleagues in amongst others the UK, America, Australia and many parts of Mainland Europe.